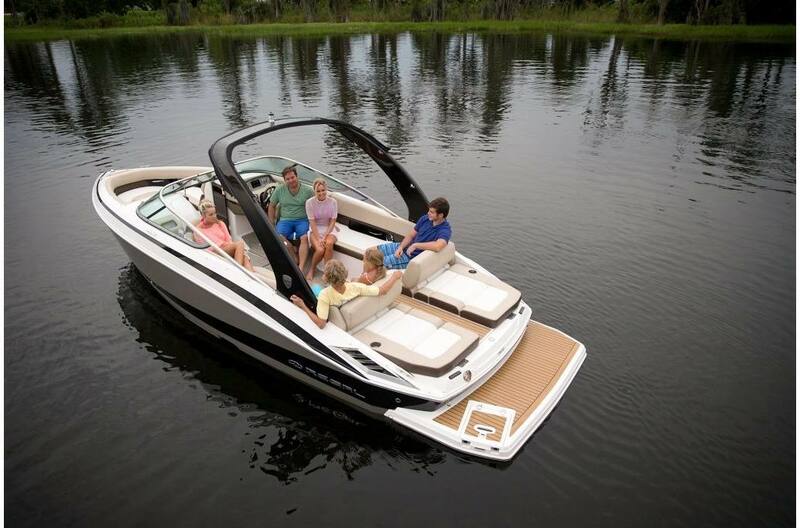 The new generation of Regal bowriders rely on a mastery of interior spacing and ride fluidity. 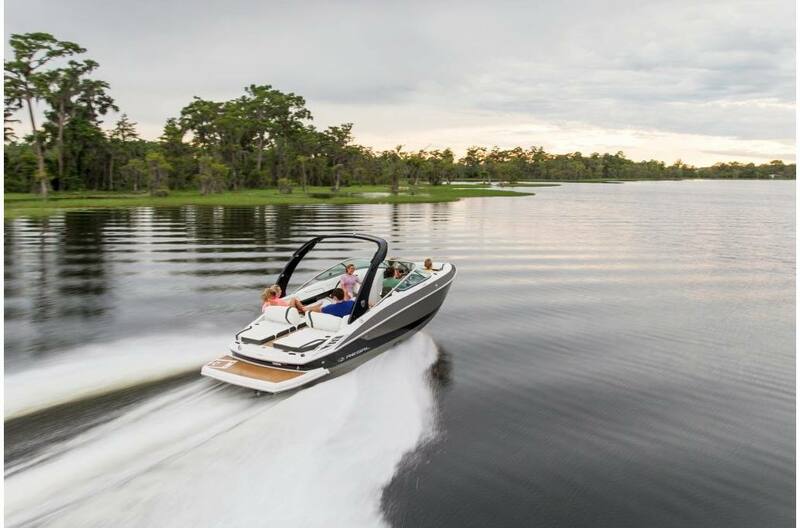 On this 2500, passengers don’t just come along for the ride, they become one with it. 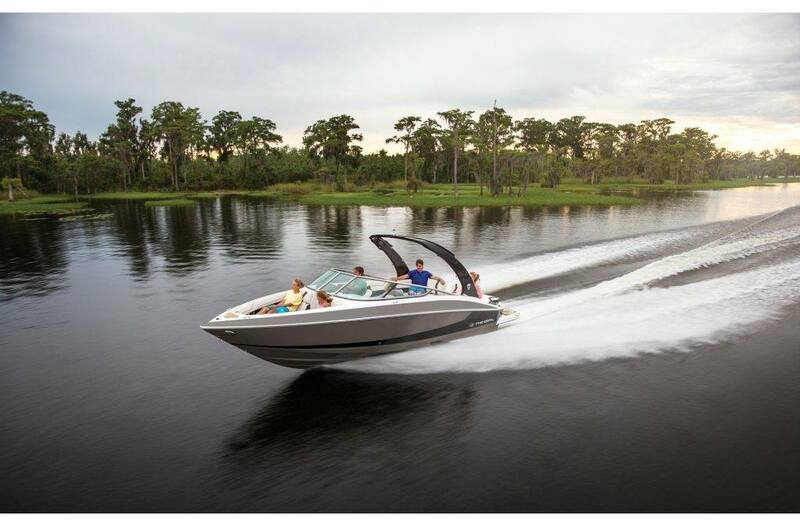 Regal makes space a priority – for everything from people to picnic baskets. Bigger is always better. 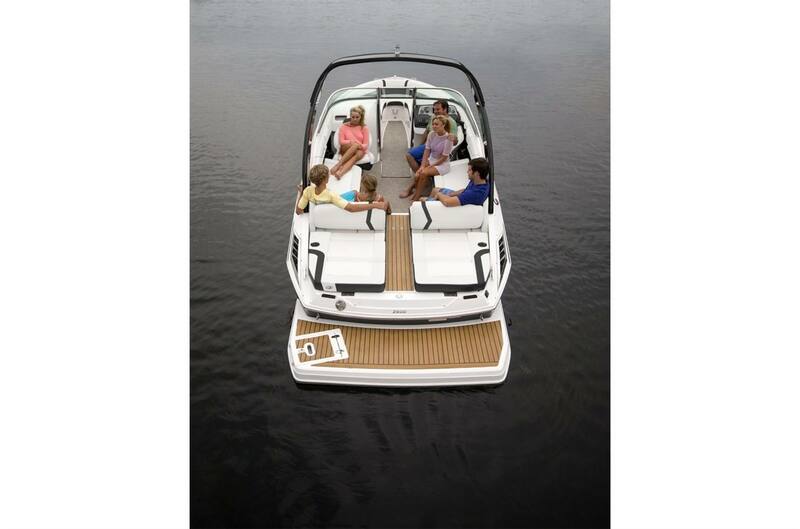 Dual UltraLounges: Enjoy the transom in any position with these dual, 4 position, reversible UltraLounges. 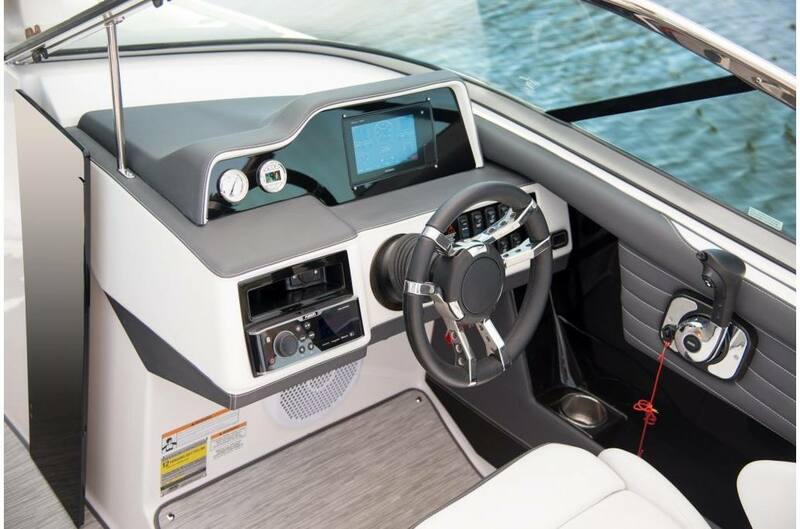 Companion Swiveling Bucket Seat: Give the first mate the same luxuries as the captain. The swivel companion seat features a flip-up bolster and lumbar support. 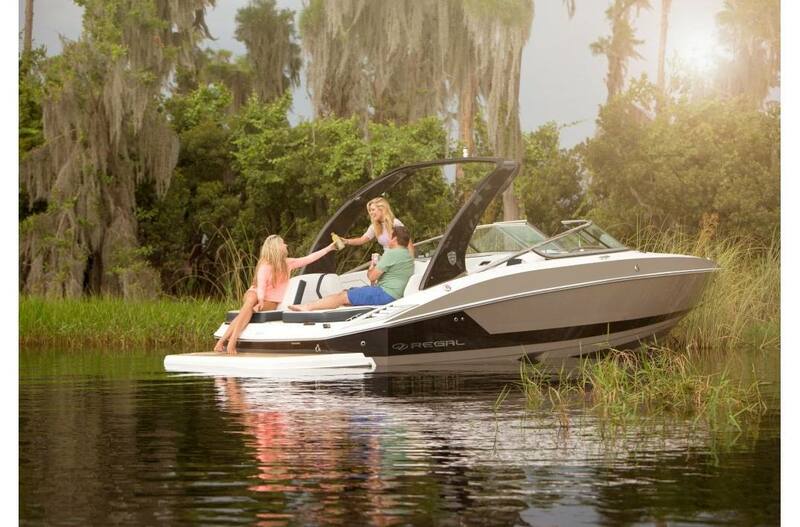 Store More Bow Locker: The 2500 can hold all you need for a fun filled day on the water. Transom Gull Winged Lockers: The gull winged storage offers unrivaled storage capacity. Trash Receptacle with Designated Storage: Regals come standard with a trash receptacle, which has dedicated storage. 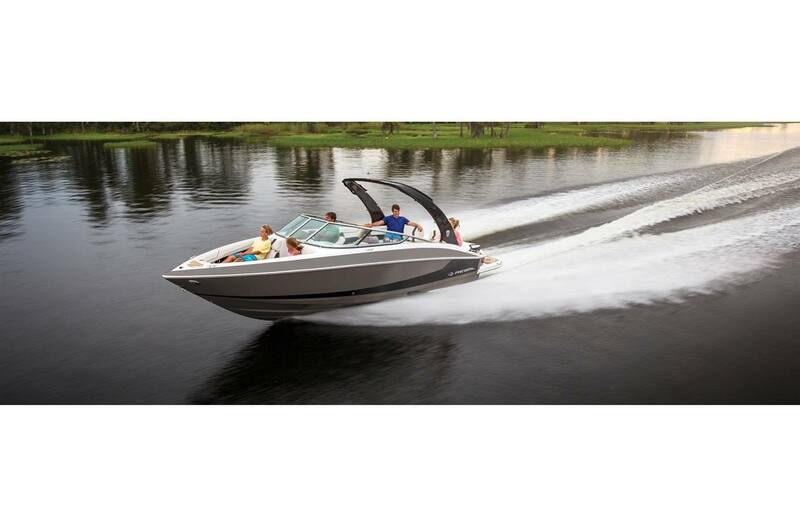 Bow Anchor Locker: No need to drag the wet anchor through your boat, the 2500 has designated storage. 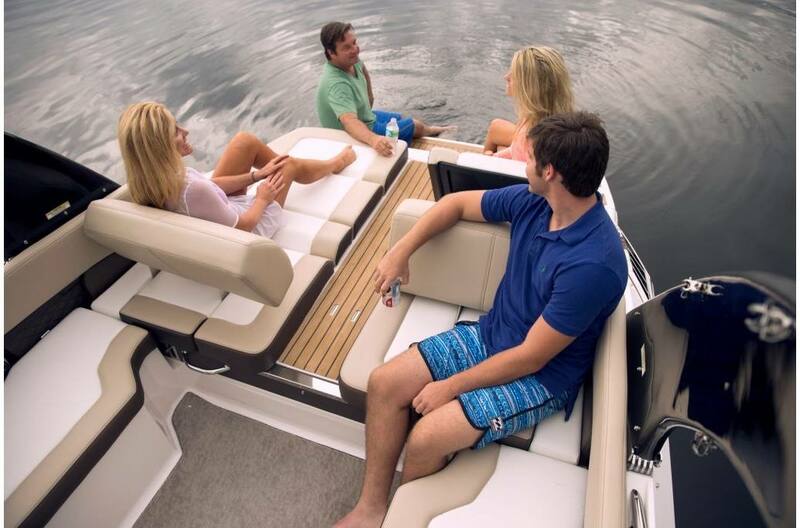 Bimini Top: The Bimini top features Sunbrella canvas and stainless bows and will shade the entire cockpit on a warm day. Pressure Water Package - Enjoy the luxury of a transom shower and a sink in the head. Anchor Windlass Deck Mount - chain & rope - The stainless steel claw anchor adds a nice touch of elegance to your boat and is easy to use. 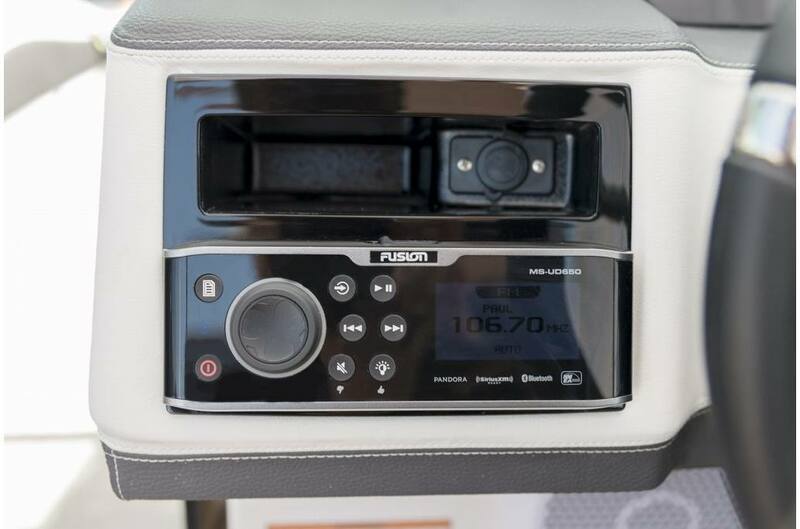 Garmin GPS 7607 Chart Plotter - Built for peace of mind when it comes to boating in unfamiliar waters and integration of wifi connectivity for your mobile device.